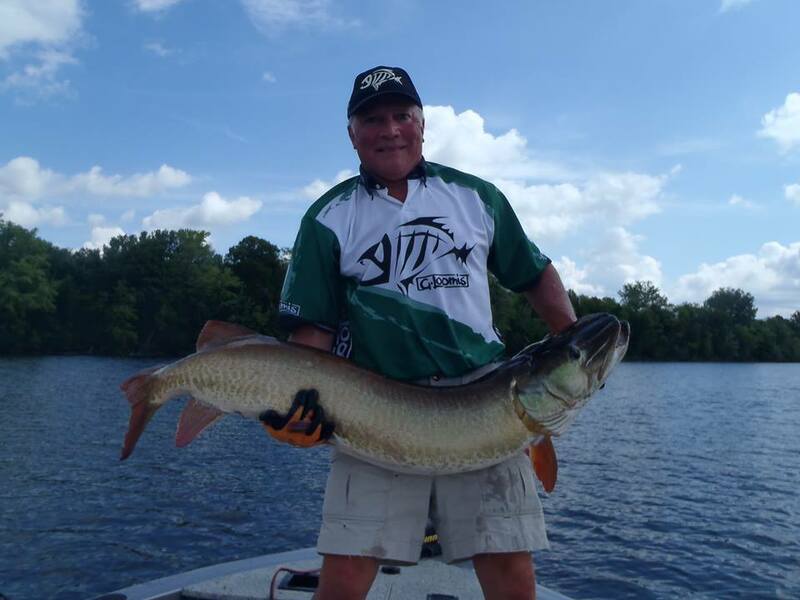 New Moon Madness – A Story of MANY Big Muskies and How to Fish Lunar Events – Part One of at Least Three, Make that Four Musky Fables. Serious musky people know that the craziest things that will ever happen in their fishing worlds are off of either lunar or weather events. This August new moon has been text book for how moon cycle fishing is supposed to inspire big fish to move and eat. New moon rise and set each day cause some of the strongest electro magnet influences on both fish, wild life, and Raptors that will ever occur during an entire month. When moon, sun and weather collide in a perfect storm the apex predators prowl. Approaching the new moon last week fishing was tough. In fact it was the first tough stretch of the entire season and it was indeed humbling. Casters and trollers alike were left shaking their heads at the inactivity of the fish. My guests and I fished hard for long days for zero, one, or two small to medium muskies. We weren’t even moving the big fish to follow at all. We hadn’t seen a big fish for a week. That’ll make musky guide stay awake at night with eyes wide open. Enter the new moon. The moon set occur only 20 minutes apart for 3 or 4 days on a new moon and coincide with the sunset. Two powerful solunar events happening at the same time. If you have neutral or positive weather influences. It is almost always game on. Inactivity turned slowly to positive activity as we approached the sun and moon set. Bigger fish were moving but still not quite ready to eat. By the time it started to get dark it was a full on feed fest. As we pulled in on our favourite new moon nite bite weedline it was obvious something was going to happen. I watched a mooneye break the long jump and the high jump record for its’ species with an effort in the 10 foot range. Only one thing makes a mooneye jump like that. Game on. 1 hour later we had a 48, 48 ½, and a 45. in the boat. We also missed a few others and even had a fish come out of the water to hit a bait I was hanging in mid air while talking to my partner a full 15 seconds after a cast. Crazy. The moon set during a new moon is one of the most powerful solunar peaks of the entire month. YOU SHOULD BE ON THE WATER when it happens.